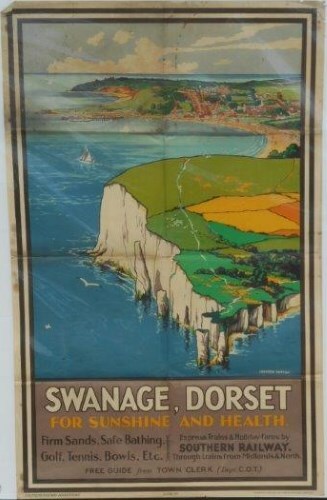 Lot 130 D/R Poster 1931, Southern Railway "Swanage Dorset" by Patten. An aerial view over Old Harry Rocks with Swanage Bay in the distance. Folds with some staining.